Groupe PSA owns the world-renowned brands Peugeot, Citroën and DS. The company sold over 2.9 million vehicles worldwide in 2015. It operates in Europe, the Middle East, Africa, India-Pacific, and China. In-vehicle human machine interface (HMI) systems are now a key component for automotive manufacturers. They provide brand differentiation as well as enhanced usability and reliability for the consumer. 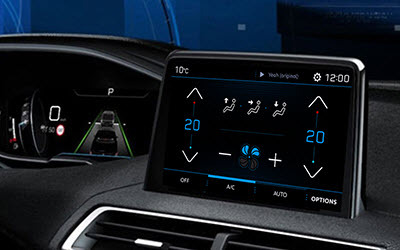 PSA planned to develop a different HMI design for the head units for each of its three brands – Peugeot, Citroën, and DS – based on the same software. The Connect Radio system needed to include extended feature sets for vehicle configuration, climate, radio, media, connectivity, smartphone integration (for Apple CarPlay™ and Android Auto), driver assistance systems, and user profiles. In 2014, PSA engaged with Elektrobit (EB) as their first HMI software partner to implement an HMI designed and owned by PSA. EB adapted the Qt-based software that PSA developed for specification and simulation, and optimized it to run on an embedded touch radio unit in an automotive environment. EB set up an experienced HMI software team very quickly following a brief expert phase. EB ensured continuous software deliveries to PSA and the Tier 1 by using agile software methods. EB has excellent HMI development expertise and Qt knowledge. This ensured the delivery of a consistent, high-performance HMI with maximum features within an initially time-critical development phase.